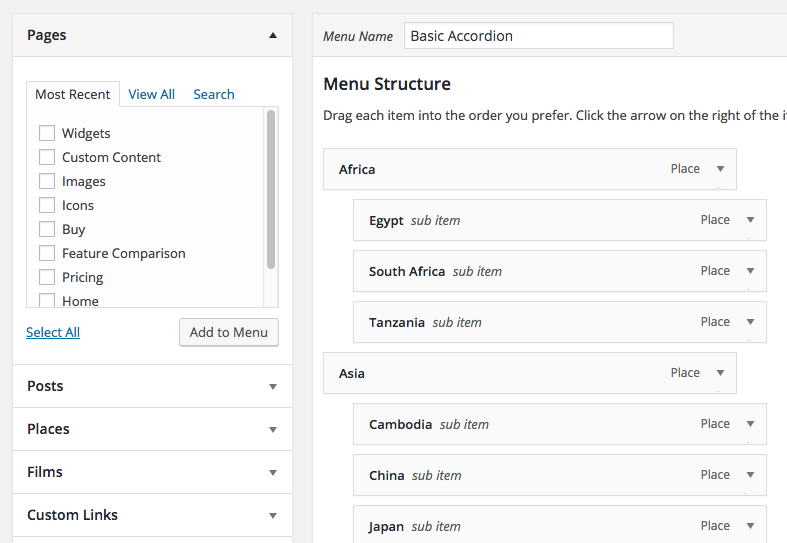 In your WordPress admin, under Appearance > Menus, you will design your menu structure. This is best thought of as simply a collection of menu items organized into a hierarchy, which will make up the content of your menu. It’s basically an outline/tree. This is the core WordPress menu system, which allows you to design your menu’s structure in a standard way. What Bellows does is then adds a presentation layer which takes the collection of menu items you’ve created and displays them on the front end in an accordion menu interface. Sidenote: as a Pro user, if you’re using the Autopopulation feature, rather than explicitly building your menu item collection in the Apperance > Menus screen, the collection of menu items is automatically generated based on the Query you define in the Menu Generator. Same concept, different source. 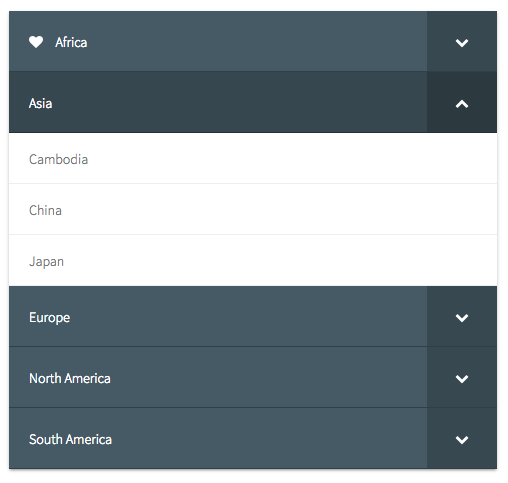 The Control Panel has two types of settings – those that control a specific Configuration, and those that control Bellows menus globally. 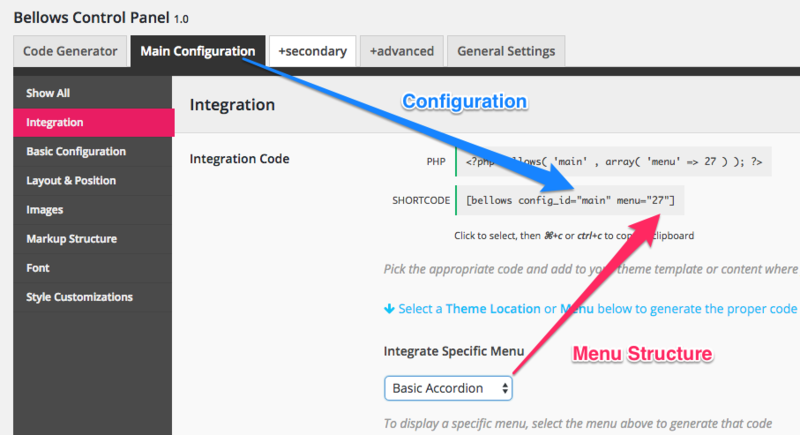 A Configuration is a group of settings that can be applied to a specific menu. Bellows comes with a main configuration, but you can create as many as you like, and they are reusable. So you could create Configuration 1 with a pink skin and left alignment, and Configuration 2 with a blue skin and right alignment. 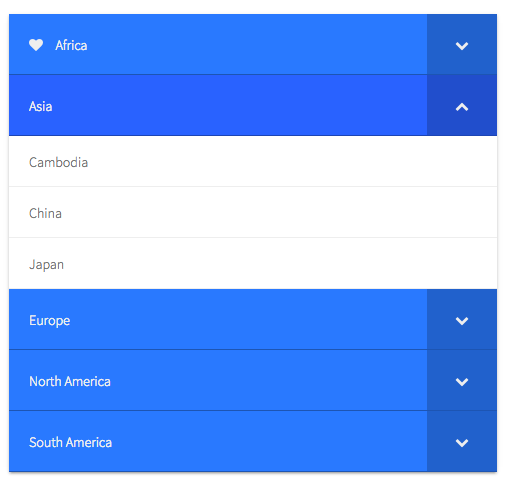 Then you could apply those skins to different accordion menu instances on your site. Bellows-specific menu items are accessed on the Appearance > Menus screen by clicking on the Bellows button that appears when hovering over any menu item. 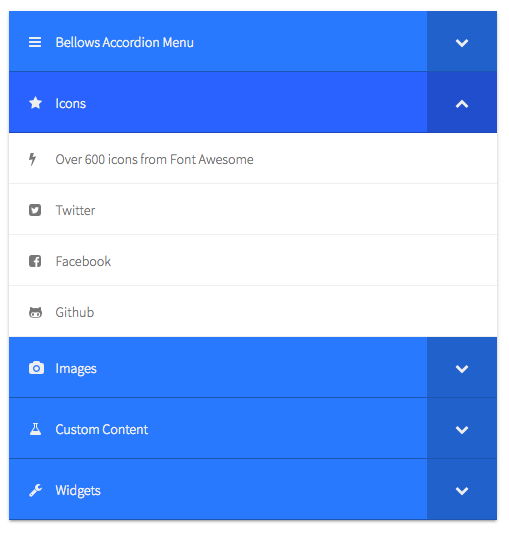 Putting it all together, the accordion menu on the front end is the result of the Bellows plugin taking a set of menu items (from the WordPress Menus screen), applying a Bellows configuration, and then tweaking individual menu items with their specific settings to get the final result. The different integration options (Shortcode, Widget, PHP), simply take your choice of Configuration and Menu Item Collection (menu or autopoulation) and pass it off to Bellows for processing. If you’re wondering why things are done this way, the answer is flexibility. By separating content, style, and function, it means you can reuse these components in different ways and eliminate redundancy, making your complex tasks more efficient.